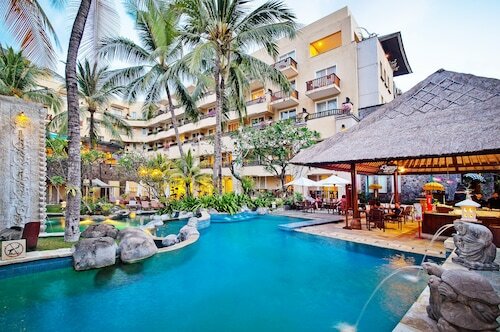 Close to shopping centre and Kuta Beach. Nice view from the Riva Restaurant for sunset dinners ! 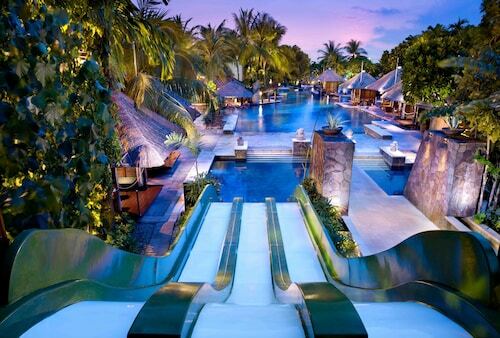 Brand new spa. Helpful staff, everything is clean and tidy. Staff was very accommodating to your needs, they went above & beyond to achieve this. Also location was perfect. Great position. Overall excellent in all regards. Everything from the Room to Food and Beverage. Ocean room view was worth the upgrade. We will return. Nice property, very clean generous size rooms and good atmosphere. Very friendly service. Location a little far out. Would be good to have a few more activities. The tales Kuta Square tells are historical in nature, but they are also timeless. 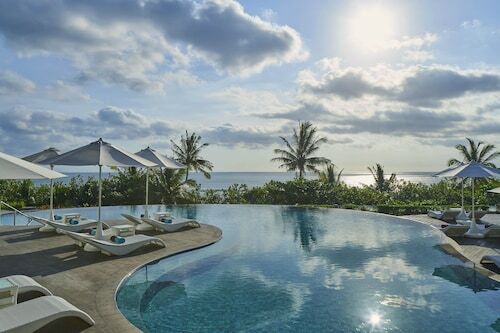 It can be found in Kuta, 960 kilometres from Jakarta, the nation's capital. 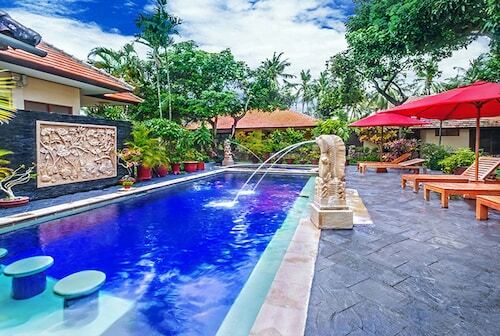 You'll find a huge variety of accommodation here, with as many as 134 within minutes of Kuta Square. Don't know where to begin? 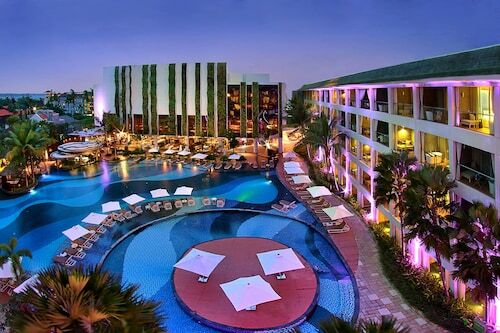 Have a look at the Sheraton Bali Kuta Resort, Discovery Kartika Plaza Hotel and Hard Rock Hotel Bali. There are many accommodation options that are suited to those travelling on a budget. 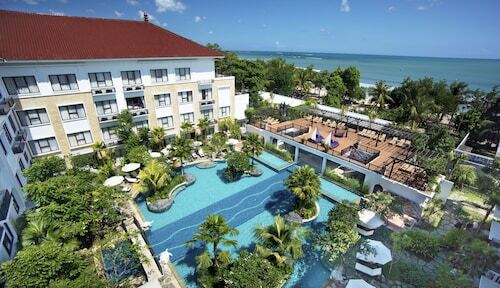 The Green Garden Hotel and the Grandmas Plus Hotel Legian are recommended choices. You'll locate them 0.9 kilometres and 2 kilometres away, respectively. Those looking for a bit of elegance and luxury will appreciate the several upscale hotels. Check out the rooms at the Villa de daun, a kilometre away. Alternatively, the Sandi Phala is merely a kilometre away. 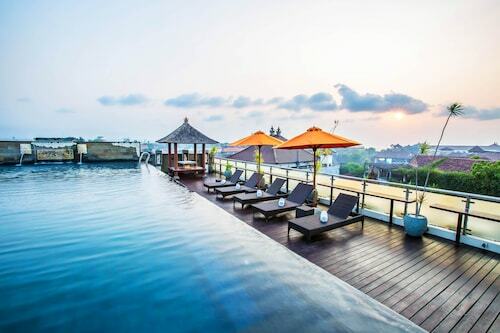 To get your day going, start it off at Sky Garden Bali. Near Kuta Square, it's the perfect spot for a coffee. You don't need to go far for a decent meal. 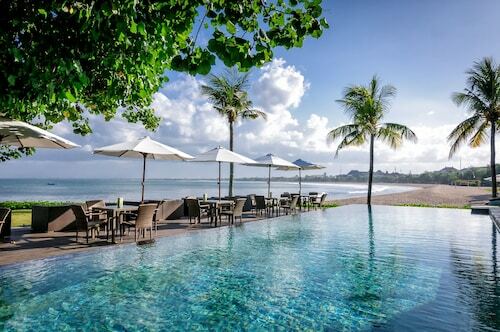 Sheraton Bali Kuta Resort should have what you need. In the evenings, TJ’s Mexican Bar & Restaurant is great for a nice glass of wine. Get involved in a truly local experience with your friends and family at Kuta Art Market. Take in a show at Kuta Theater, a great local venue. 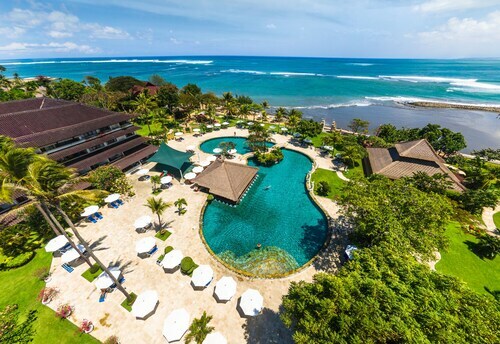 You'll have a delightful time playing in the surf, and meandering along the shores of Kuta Beach. It's crazy, it's thrilling and it's fun! On a hot day, Waterbom Park is an energetic local waterpark that the whole family will love. Crowds of people go to Discovery Shopping Mall to join the fun. How Much is a Hotel Room in Kuta Square? 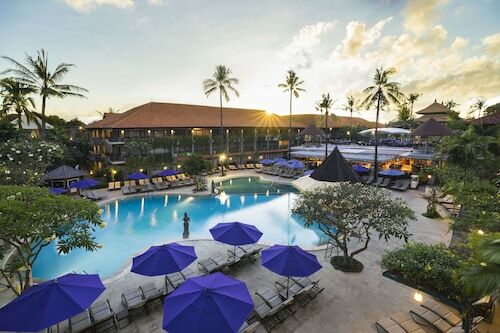 Hotels in Kuta Square start at AU$20 per night. Prices and availability subject to change. Additional terms may apply.